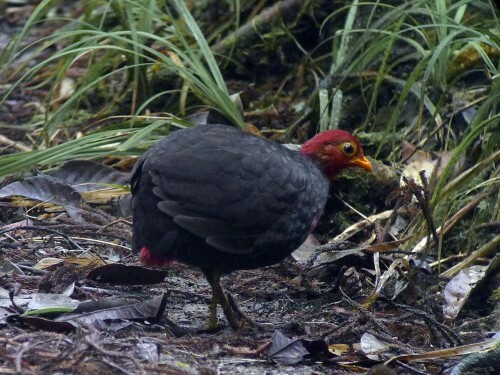 The Crimson-headed Partridge Haematortyx sanguiniceps is locally common in the montane areas of Borneo. However it is also found in some lower habitat as in Tabin Wildlife Reserve. The male bird’s loud territorial calls can be heard in the early morning, becoming less frequent as the day goes on. I believe this is the least sensitive of the partridges in Borneo, so head to the area where you hear the calls. Good luck !